The Australian Women In Wine Awards acknowledges and rewards the work of women in the Australian wine community, and community leaders who champion equality and fairness for all sexes in the workplace. We seek to support and mentor women, to share experiences, to encourage and inspire and highlight, where we see it, the need for change. 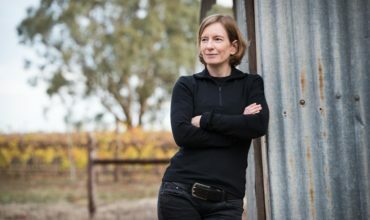 The Australian wine community needs more positive female role models and leaders. With these awards we hope to highlight a few more of them. The awards are an initiative of The Fabulous Ladies’ Wine Society, and are overseen by an advisory board of industry leaders. They like to get things done. So we like to call them the AWIWA Action Board! Not only is Jane passionate about communicating the joys of wine to an increasingly savvy female audience of wine lovers, but she’s equally determined to do everything within her power to showcase the fabulous female talent within the Australian wine industry. In March 2015 Jane represented Australia at the first ever Women in Wine Global Symposium in Napa, CA. It was from that experience that she returned with the vision to found the Australian Women in Wine Awards. A vision which has only become possible thanks to the support and exceptional talent of the members of this advisory board. Jane is also the Drinks Editor for Taste.com.au Magazine, occasionally moonlights as National Wine Writer for News Corp, and was voted as one of Wine Business Magazine’s ‘Top Stars’ of 2012 & 2016. When Beck isn’t thinking up new ways to further the cause of women in the wine industry, or climbing a rock, she is pretty involved with creating new and fascinating wines for Irvine Wines. After over 20 years in the wine business working with some of the largest companies (E&J Gallo, TWE, Pernod Ricard) Beck decided it was time to come back to the core of what had drawn her to wine and bring her skill set to a smaller but forward thinking business. Thus was born the collaboration with Irvine Wines. 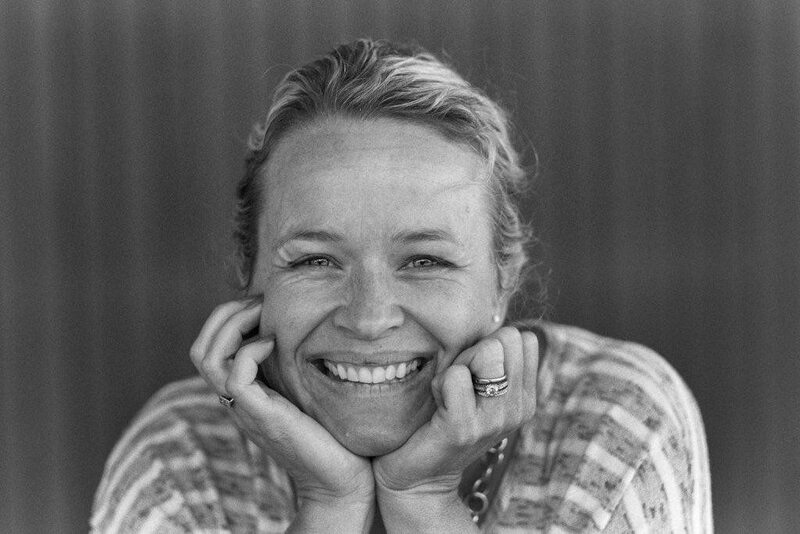 In her role as winemaker/brand architect Beck helps create the wines and the vision for those wines, challenging the norms of what Eden and Barossa Valley vineyards can produce. Creating wines of purity and grace. Her passion is pushing the boundaries of what we think is possible for wine and her direction lies in innovation and experimentation. In her winemaking career thus far the portfolios she has managed have won over 500 awards and trophies both domestically and internationally. Actively involved in the industry Beck sat on the Wine Innovation Cluster leadership group and the Adelaide Hills Regional board as well as being a Wine Industry Future Leaders graduate. She holds an degree in Oenology, an Masters in Business Administration and a post graduate diploma in marketing. Described by WBM Magazine as a “legend in the making” and by James Halliday as being part of a “remarkable dynasty” Corrina is the Director and Winemaker (and sixth generation member) of her family’s label, Oliver’s Taranga. She has collected a display case full of awards that would make even the most celebrated winemaker blush. She graduated from the prestigious Len Evans Tutorial in 2005, and continues to judge at numerous wine shows around Australia as well as guest judging at the AWRI Advanced Wine Assessment Course. Passionate about her home, her vocation and local community she has also served on the Boards of the McLaren Vale Grape, Wine & Tourism Association and the Australian Society of Viticulture & Oenology, and hosted the 2016 WISA Wine Industry Impact Awards. 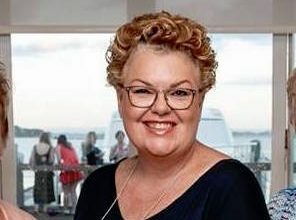 She is a current board member for the Winemakers Federation of Australia representing small winemakers, and has recently started exploring her talent for storytelling, writing regular pieces for Fleurieu Living Magazine. Corrina is furious that we are losing women from our wonderful industry, and is determined not to sit back and let it happen. Jeni Port is a freelance wine writer based in Melbourne. She iwas the longest-serving wine writer on The Age newspaper and a long time contributor to Winestate magazine, Gourmet Traveller WINE magazine, James Halliday Wine Companion magazine, Wine Selector magazine and Meininger’s Wine Business International magazine. 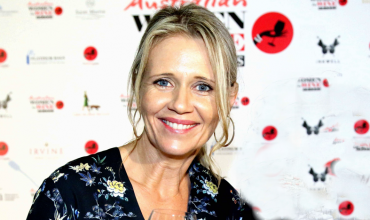 Jeni is also the author of Choosing Australian Wine, Crushed By Women: Women and Wine and the Australasian contributor to Dorling Kinderlsey’s Wines of the World. 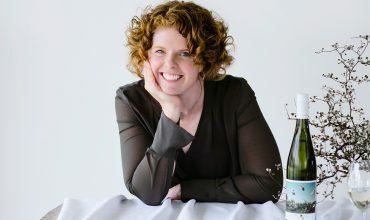 In 2014 Jeni was named a Legend of the Melbourne Food and Wine Festival and was awarded Wine Communicator of the Year by Wine Communicators of Australia. Jeni is also a regular wine judge in the Australian wine show circuit and is a judge on the annual ‘Australian Wine List of the Year’ awards and ‘China Wine List of the Year’ awards..
Sarah Collingwood owns and manages a micro-winery and vineyard with her family in the Canberra District, Four Winds Vineyard. Since 2010, she has been in charge of the logistics and paperwork that underpin the operation. Sarah ran a successful crowd-funding campaign in 2014 to raise $23,000 to expand their winery. In 2015 she has used her experience in finance and marketing to turn four tonnes of spare shiraz grapes into over $46,000 for refugees and asylum seekers in Canberra. She was named the 2017 Australian Women in Wine owner/operator of the year and sits on the Canberra District Wine Industry Association Committee. With Sarah on board, Four Winds Vineyard’s range of labels has been awarded three international awards for their photography-series labels: overall supreme at the 2017 Drinks International Wine Design Challenge, overall champion at the Harpers Wine and Spirits Design Awards 2017 and gold at the Design Effectiveness Awards in London 2018. Sarah’s career began at the Sydney, Salt Lake & Torino Olympic Games where she worked in television broadcasting and large workforce management. Outside the business Sarah is the mother of two and aims to ride her mountain bike and screen-print whenever time permits. Toni fell in love with wine at an early (but appropriately responsible) age. In 1997 she commenced her Masters in Wine Marketing at Edith Cowan University in WA as well as joining Rosemount Estates in a Sales role. After a few years and a merger with Southcorp Wines, Toni commenced her first marketing role in Sydney supporting the global team on Lindemans, Rosemount, Penfolds and Wynns. The softpack and value brand portfolio was her next challenge followed by an opportunity to develop new innovative brands for Southcorp in Australian and International markets. Her next major project was her own innovation and the birth of her daughter in 2005. Time on maternity leave followed by a Brand Development Manager role with Crown kept her in WA for a few years but was not enough to fullfill her desire to work in wine! 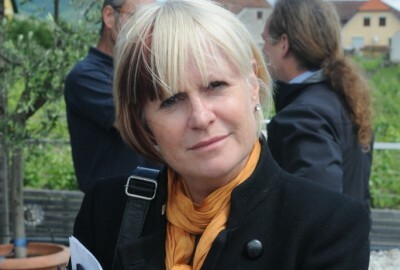 In 2010 Toni became the National Marketing Manager for De Bortoli Wines. In 2014 Toni joined Treasury Wine Estates as Marketing Manager Regional Brands – responsible for some of her favourite brands Wynns, Pepperjack, Seppelt, Coldstream Hills, Devils Lair, Saltram and Heemskerk. She loves the dynamic platform that social media provides for wine – the story telling and sharing that we all love. Sami Gilligan was born in Sri Lanka and for the first few months lived in an orphanage until being adopted by Australian parents, and growing up in Wilunga (McLaren Vale). 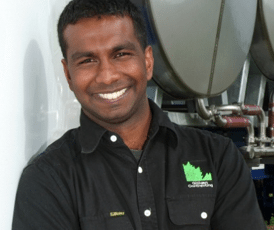 Sami started a viticulture degree at university but decided not to continue as he enjoyed driving tractors too much! At the age of 22 his dream came true when he became the proud owner of his first tractor and started Gilligan Contracting Pty Ltd – a vineyard contracting and transport business. In 2004 he founded Pallet & Barrel Pty Ltd, a wine storage business. The company purchased 10 hectares of rural land and developed a vineyard, as well as building a wine storage facility, cellar door and office. In 2015 he started Flex Logistics which transports wine grapes thoughout South Australia during the annual harvest period.